We love relic’d instruments at Dunlop. They look awesome, of course, with all the visual charm of an instrument that’s been through a lifetime or two on the road. But there’s more to a relic’d instrument than its appearance. Relic’d instruments are generally very well-made. Relic’d instruments are generally of high quality, with a lot of them built by boutique manufacturers who give each instrument they produce a lot of attention. They feel just as broken in as they look. If you’ve ever put your hands on a vintage instrument that’s been played a lot, then you know that playing an instrument like that is as comfortable as putting on your favorite old pair of shoes. Builders go through a number of steps to create that worn-in feel in their relic’d instruments, and they tend to do it very successfully, whether it’s a Mexican-made Fender Roadworn Jazz Bass or a Tele-inspired guitar from San Francisco-based Rock N Roll Relics. The Carbon Copy® Analog Delay has been the world’s bestselling delay pedal in the world since its release in 2009. Its warm analog sound, ease of use, and healthy reserve of delay time made the pedal a hit with guitar players everywhere, weekend warriors and recording pros alike. We sat down with the masterminds behind this modern classic—veteran MXR® engineer Bob Cedro and Way Huge founder/delay guru Jeorge Tripps—to talk about the this pedal’s origins as well as the development of the newly released Carbon Copy Bright Analog Delay, a collaboration with the guys at Pro Guitar Shop that provides brighter, more refined repeats. How did you guys conceive of the Carbon Copy Analog Delay? Jeorge: When I started at Dunlop, the first thing I wanted to do for MXR was create a delay pedal—the line hadn’t had one since the old days, but players kept asking when we were going to fill that void. So I sat down and made a list of all the things I wanted in an MXR delay pedal: analog circuitry, 600ms of delay time, modulation, a Phase 90-sized housing, and the option to run it on battery power. 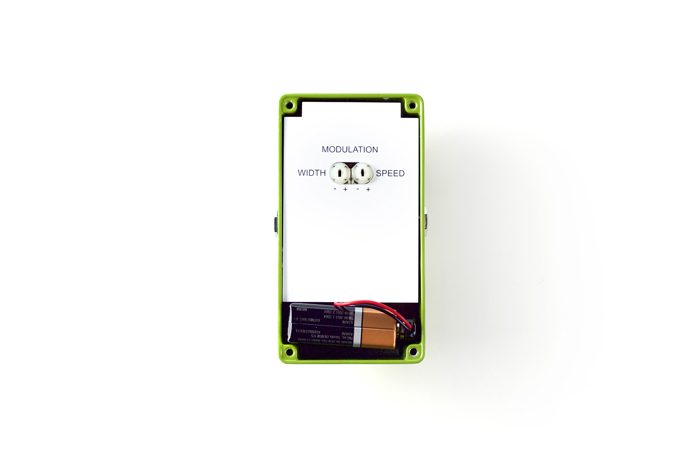 Bob: Coincidentally, I already had a design for a 600ms analog delay pedal—it was one of my first projects at Dunlop—and we almost went into production with it in 1997. Unfortunately, the BBD IC (bucket brigade device, integrated circuit) we used went out of production at the last minute, so we had to call the whole thing off. After Jeorge joined the Dunlop team, we had many conversations about creating a new MXR delay analog pedal, but without the parts needed, it stayed on our “Wouldn’t it be great if…” list. A short time later, though, I learned that the particular BBD IC needed to create my dream delay pedal was available again. We got to work right away. Was it inspired by any previous circuit designs? Bob: The Carbon Copy circuit was a new design. It was a culmination of my experience both designing delay pedals as an engineer and using them as a player over the years. Back in 1979, I designed my first chorus/delay rack unit for my own personal use. It used a Reticon R5101 charge-coupled device analog delay line, and it had more knobs and meters than a power plant. The first analog delay pedal I actually bought was a Boss DM2, which I used for pretty much everything—live guitar, recorded vocals, drums, and so on. Later, while working as a design engineer for SR&D—the company that created the Rockman product line, now owned by Dunlop—I used the Rockman Analog Delay, which had this great, warm analog sound. The problem was that it was housed in a large, half rack box with an AC power cord tethered to it, and its control setup was way too complicated. By the time I came to Dunlop, I had grown to love the more straightforward MXR approach. I decided that Regeneration, Mix, and Delay controls were all I needed in a delay to make me happy. After that, I concentrated on putting it all into an Phase 90-sized box. What was the collaboration process like between the two of you? Jeorge: I drew up a graphic representation of the pedal, including Bob’s Regen, Mix, and Delay controls, but I added the Mod (modulation) switch to simulate the wow and flutter of a vintage tape delay unit. 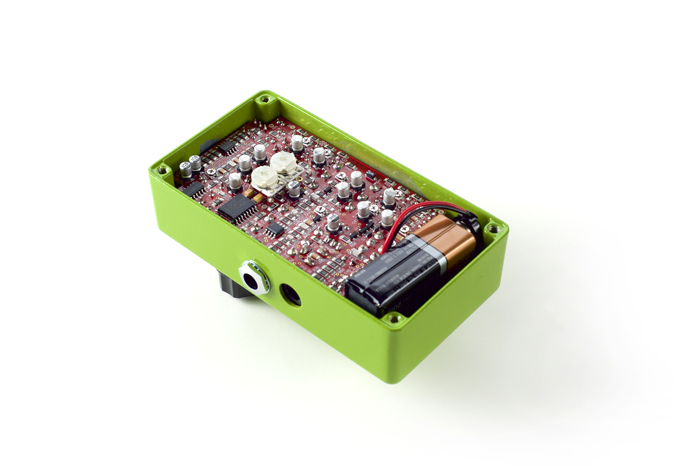 Bob put it all together, adding the modulation circuitry to his own 600ms delay design, and the result was incredible. Can you explain the Carbon Copy’s control setup and why you designed it that way? Bob: We agreed to keep it simple, with just three knobs on the front of the pedal. At first, I was concerned that the modulation feature would complicate the pedal a bit too much, but the switch seemed to be a perfect solution. It allowed us to maintain the simple three-knob setup on the face of the pedal, and we put the modulation Speed and Width controls inside the unit as“set it and forget it” tweaks. How does the Mod switch simulate an aging tape echo unit? Bob: Engaging the Mod button places a slight pitch shifting movement on the delayed signal, which is reminiscent of tape echo wow and flutter. The internal controls are factory set to best simulate those subtle effects, but they can be adjusted for a much more pronounced and intense chorusing sound. Jeorge: The modulation was a very important aspect of this pedal—it adds depth to the repeats and makes them sound bigger and more full. Very few delay pedals had that feature at the time. How does it compare to past MXR delays? 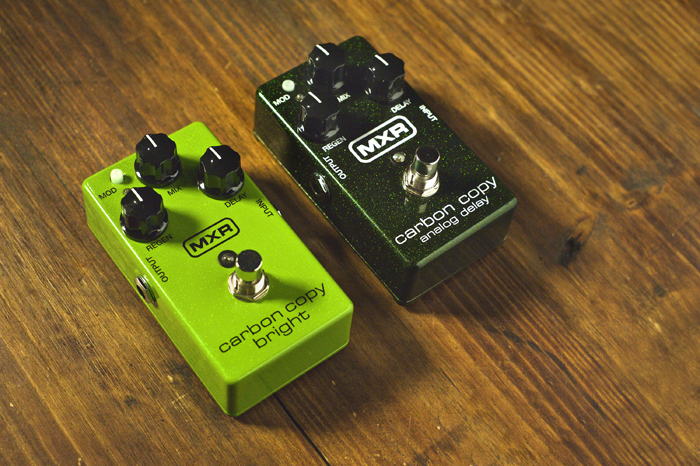 Jeorge: The Carbon Copy Delay is a completely different circuit from the old big green MXR® Analog Delay. That unit used a Reticon R5101 BBD, and it didn’t have modulation. I think it did about 450ms? It was also very noisy. Why do you think this pedal is still the bestselling delay six years later? Jeorge: The market was missing a delay designed according to the MXR ethos, which emphasizes great tones, ease-of-use, and rugged durability for a reasonable price. We filled that gap, and we couldn’t be happier that it’s become the “go to” analog delay pedal. What spurred the development of the Carbon Copy Bright Delay? Jeorge: Well, the standard Carbon Copy Delay is famous for its dark, rich warmth. There are a lot of tone guys out there, though, who wanted to hear how it would sound if it was tuned to bring out more of the high end in the repeats so they could have more than one Carbon Copy flavor. Working with Aaron Miller and the Pro Guitar Shop team, we designed the Carbon Copy Bright with those players in mind. Bob: Pro Guitar Shop’s customer base is very much centered around that type of player—the guys who love to find just the right sound for each application—so we thought they were the perfect partner to work with on this project. We passed a few prototypes back and forth until we found the sweet spot, and it really sounds great. How exactly is the Carbon Copy Bright Delay different from the standard Carbon Copy Delay? Jeorge: The Bright functions exactly the same as the standard version, but it’s tuned differently. Because the higher frequencies are more pronounced, this pedal’s repeats are more defined, and the modulation shimmers a bit more. It’s a great contrast to the standard version’s darker, warmer repeats. Bob: If you’re into tone crafting and all that good stuff, there’s definitely room for both Carbon Copy pedals on your board.